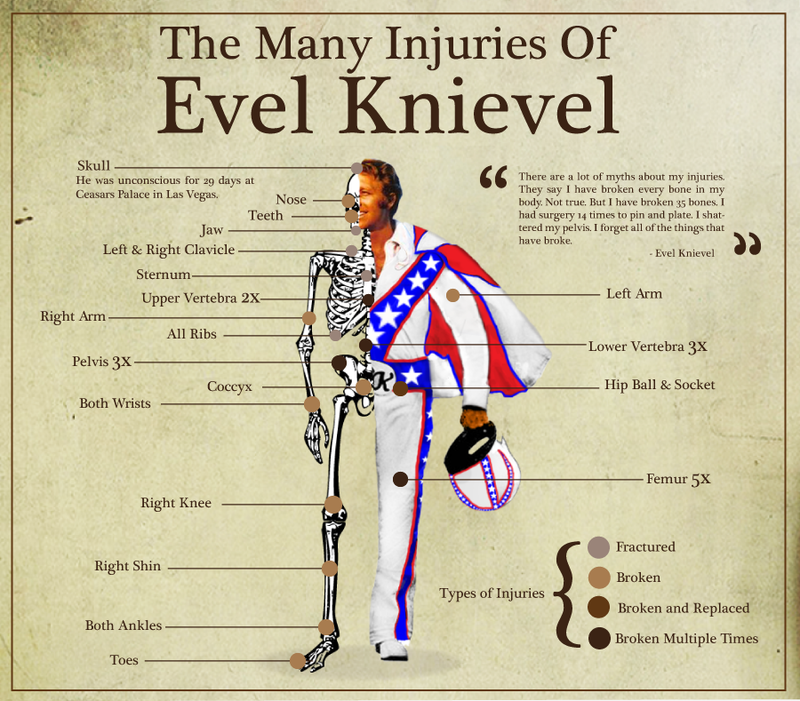 Veteran stuntman Evel Knievel (1938 – 2007) was the pioneer of many stunt jumps. 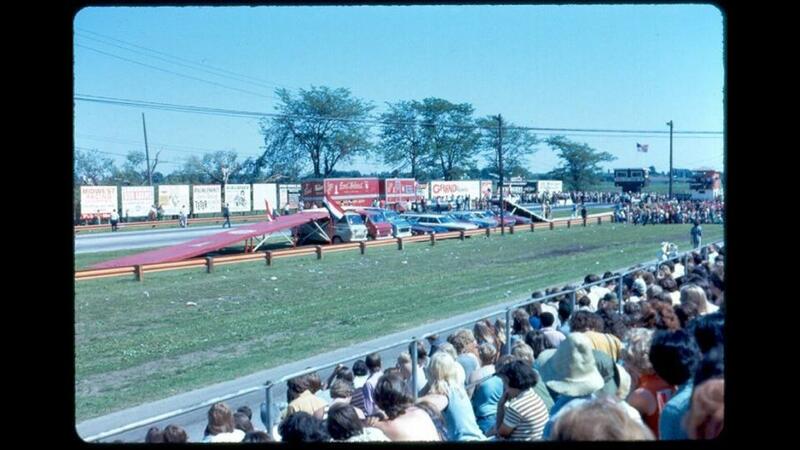 Here he is jumping 10 cars and 3 vans in 1973. 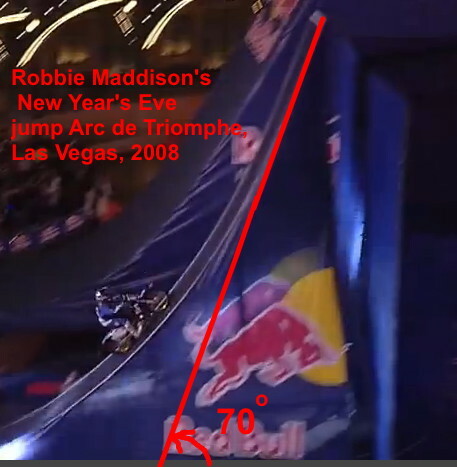 If the ramp angle is too high, the stunt jumper also goes high, but doesn’t travel very far. The stunt jumper wants the OPTIMUM RAMP ANGLE. 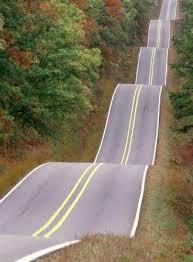 As any bike nut knows increasing speed at ake off will increase jump distance. 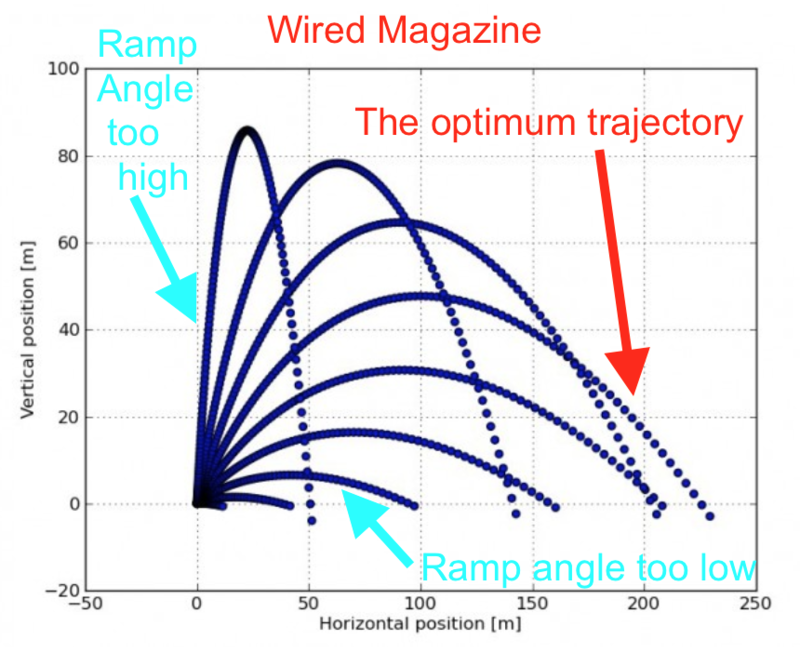 Here is a graph from final gear for speed vs angle to jump 90m. 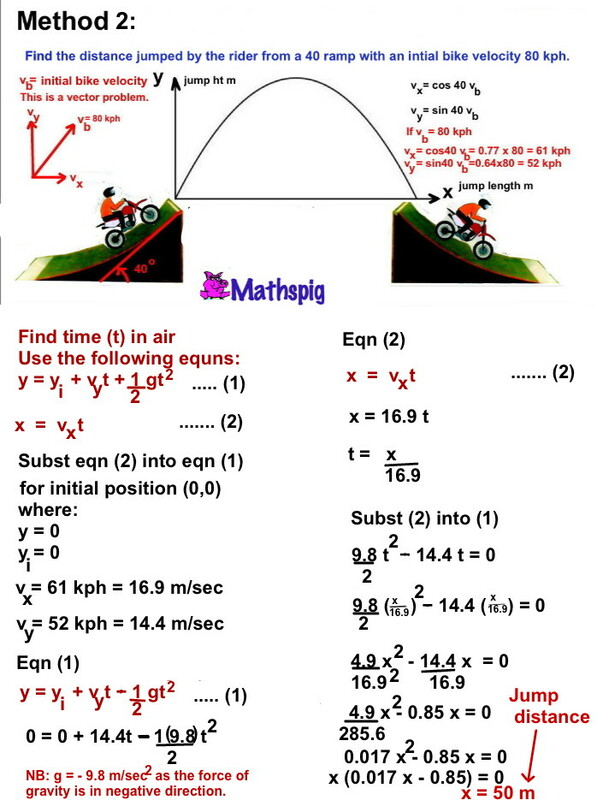 METHOD 1 is approximate (See STEP 1 & STEP 2 above), but as METHOD 2 produces the same ans (See above), it is very useful. 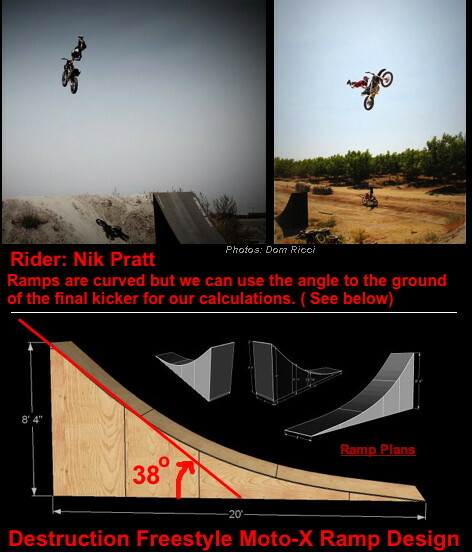 And everything you ever wanted to know about PHYSICS OF STUNT JUMPS here. 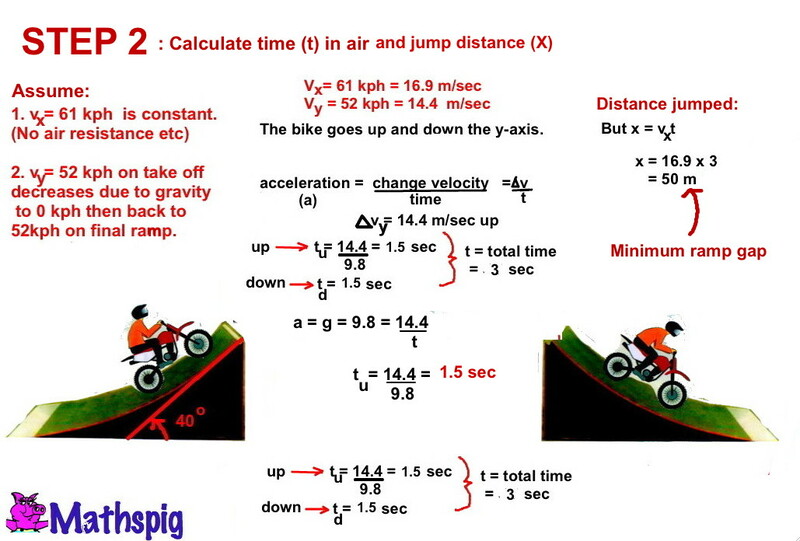 As any bike nut knows increasing speed and angle of take off will increase jump distance. 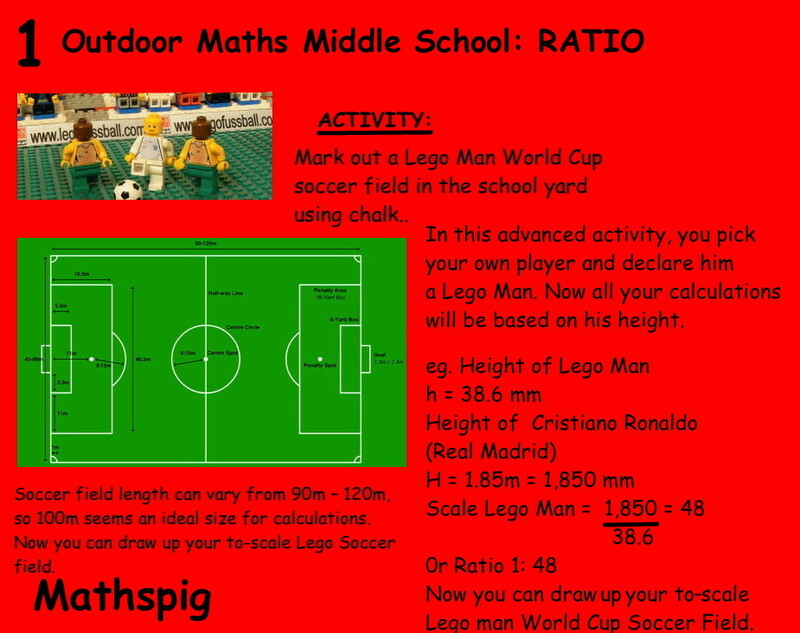 Lego Man soccer fields will vary in size depending on the height of each player picked by each student. This does your head in. It is really challenging maths! 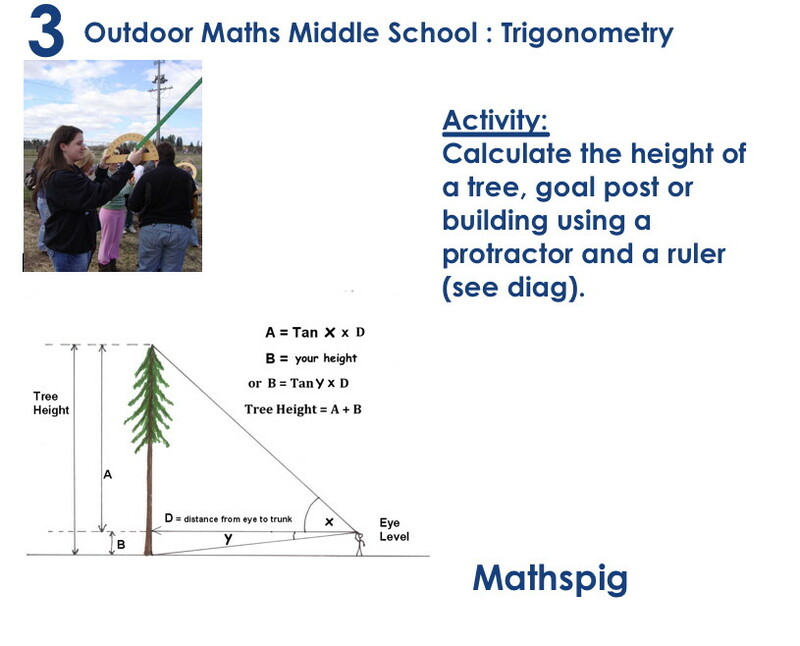 Don’t forget to throw in Mathspig’s lame protractor jokes. 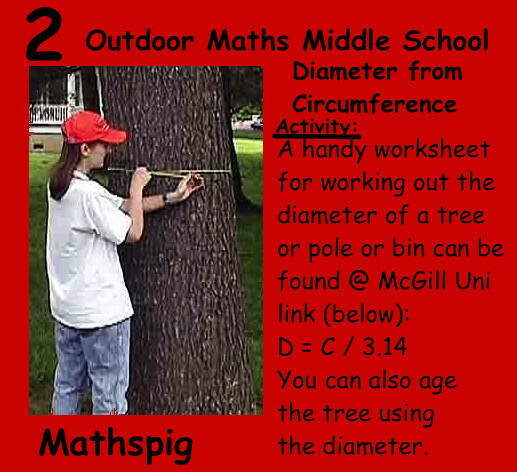 You’ll find full calculations at the Maths is Fun blog. 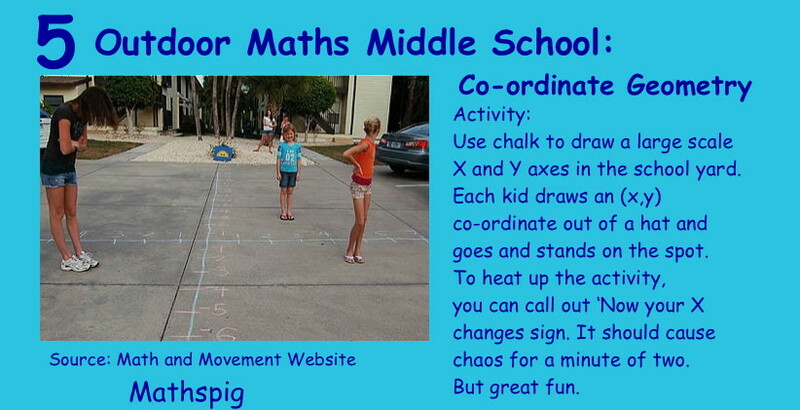 You’ll find more fab outdoor junior and middle school maths activities at the terrific Maths and Movement blog. 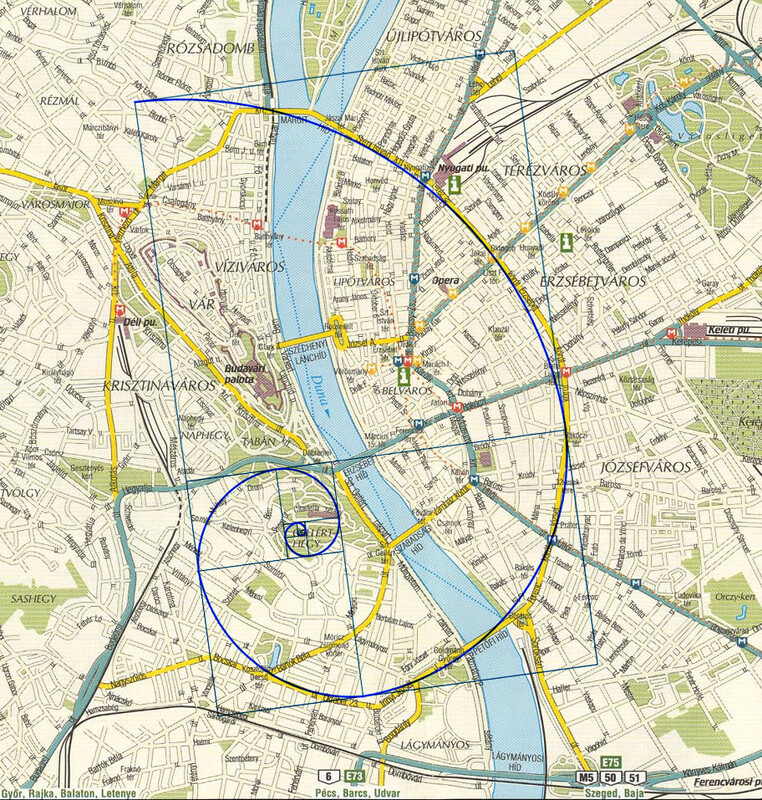 Some students will discover their co-ordinate point is not on the grid. 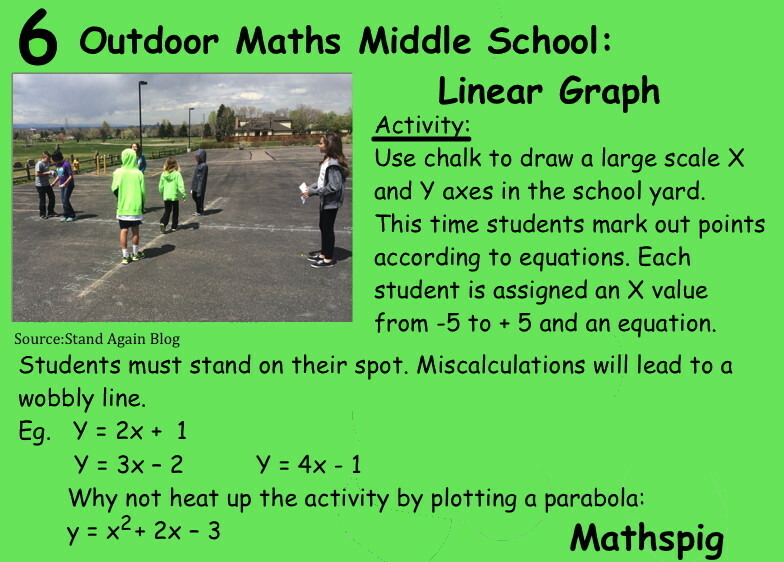 Students should then work out that they will need a different scale for the y-axis. 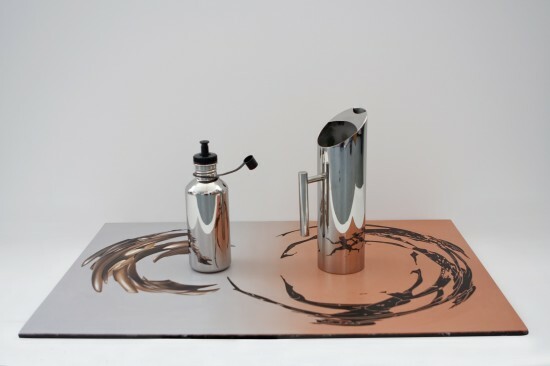 You can get more inspiration at the Stand Again blog. 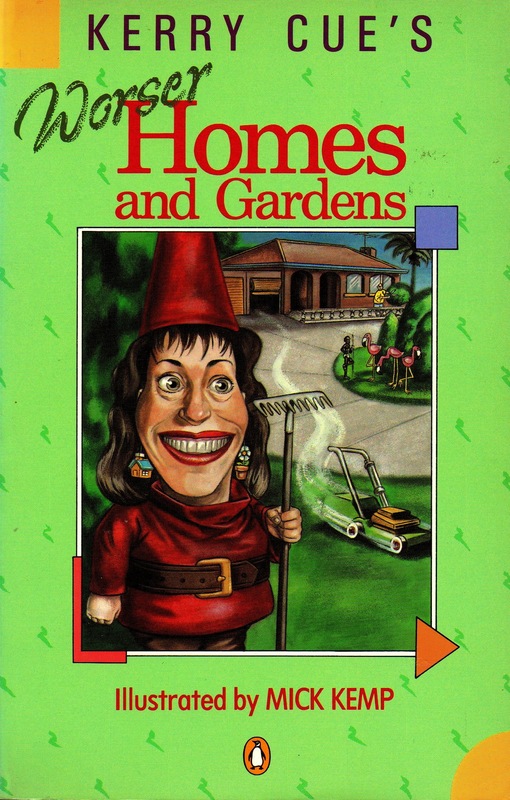 Reading Undiluted Hocus-Pocus, the autobiography of Martin Gardener, mathematician and magician (He wrote the puzzle column for scientific America for years), Mathspig was bemused to read that statistician William Feller lived on Random Road in Princeton. 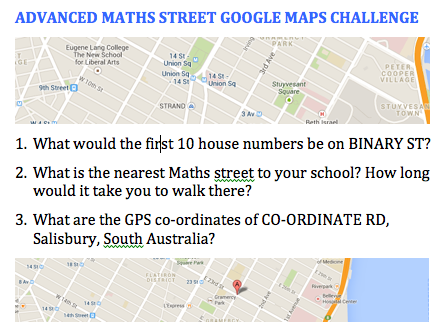 Mathspig totally confused Google Maps by searching for so many Maths streets, roads, drives, lanes and crescents. 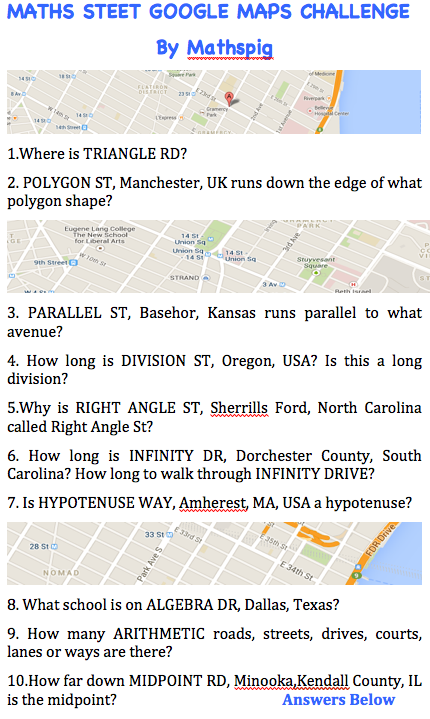 Mr Google began to think Mathspig was stuck on Infinity Street or lost at Cartesian Place. 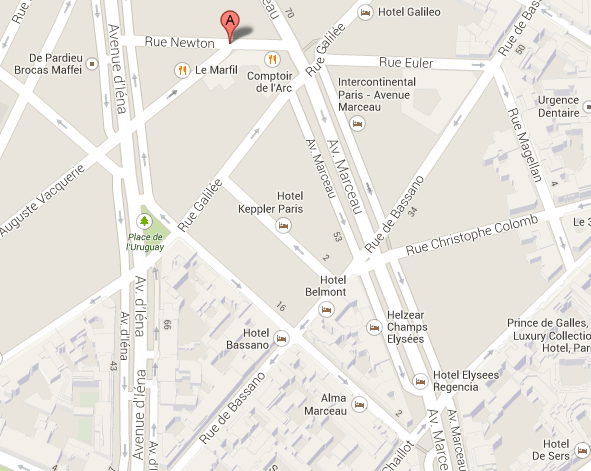 There are nearly 100 Parisian streets, squares, boulevards etc. 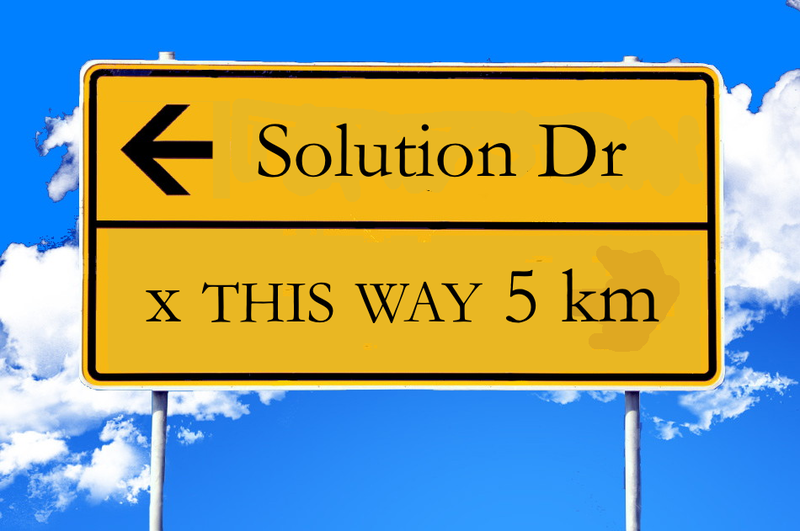 named after mathematicians and not necessarily French mathematicians. 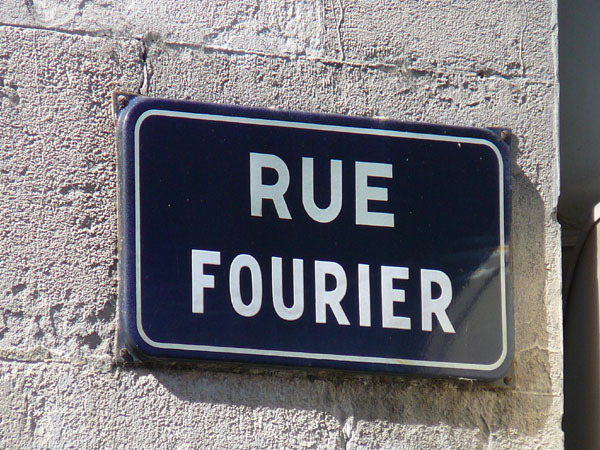 There is, surprisingly, no street named after Fourier in Paris. But the street on which he was born in Auxerre has been renamed after this great mathematician. Not by name, by design. 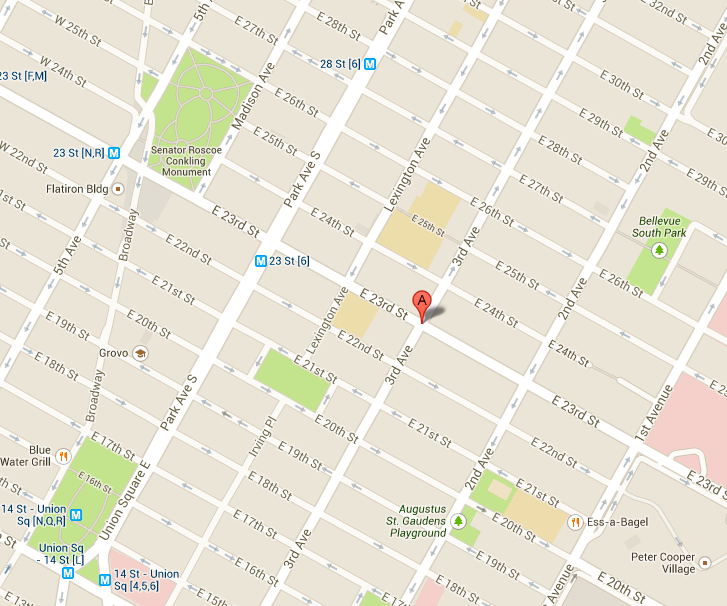 You can’t get lost in New York. It is a grid city. Eg. 812 East 23rd St means No. 12, block 8 East of Broadway. but it’s not this one. Pity! 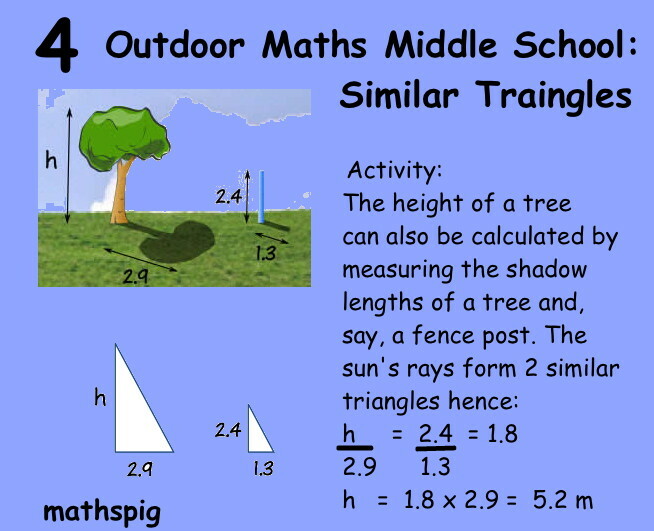 Here is a fun Maths exercise to get Middle School students thinking about maths. Ans. 1. 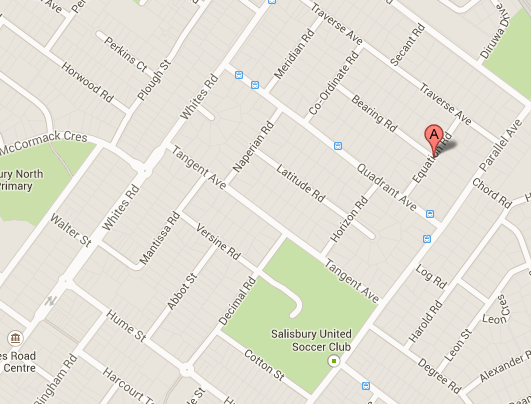 Massey, NZ. 2. TRIANGLE. 3. 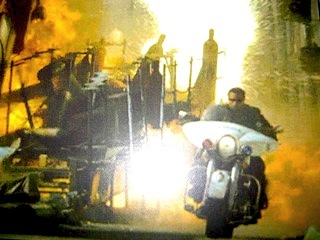 State Ave 4. 0.7 miles, 1.1 km. 5. It has 3 right angles 6. 0.4 miles, 0.6 km. 7. No. The triangle is not a right angle triangle. 8. David W Carter Hight School) 9. Only 2 ARITHMETIC CR, Landon, SC and ARITHMETIC Dr, Salem, MA. 10. O.4 miles, 0.6 km. 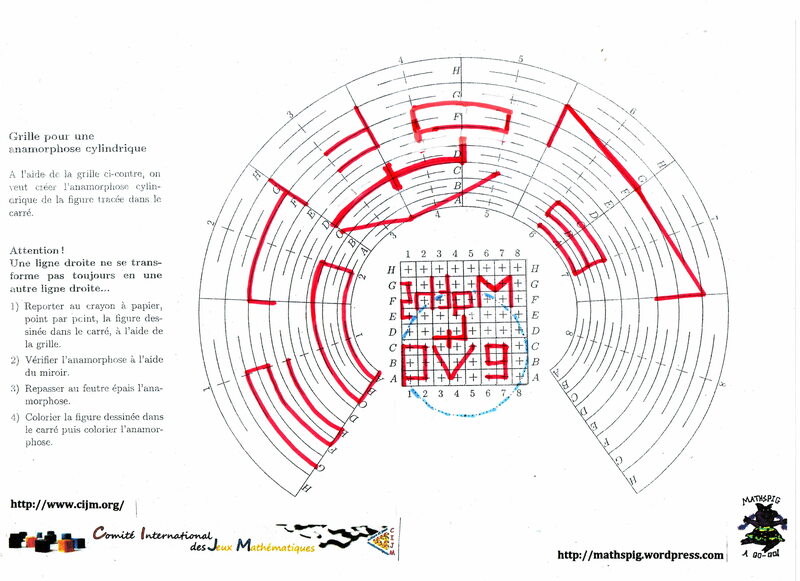 Here is LAGA Phd student Attouchi @ the 13e Salon Culture & Jeux Mathematique in Paris. 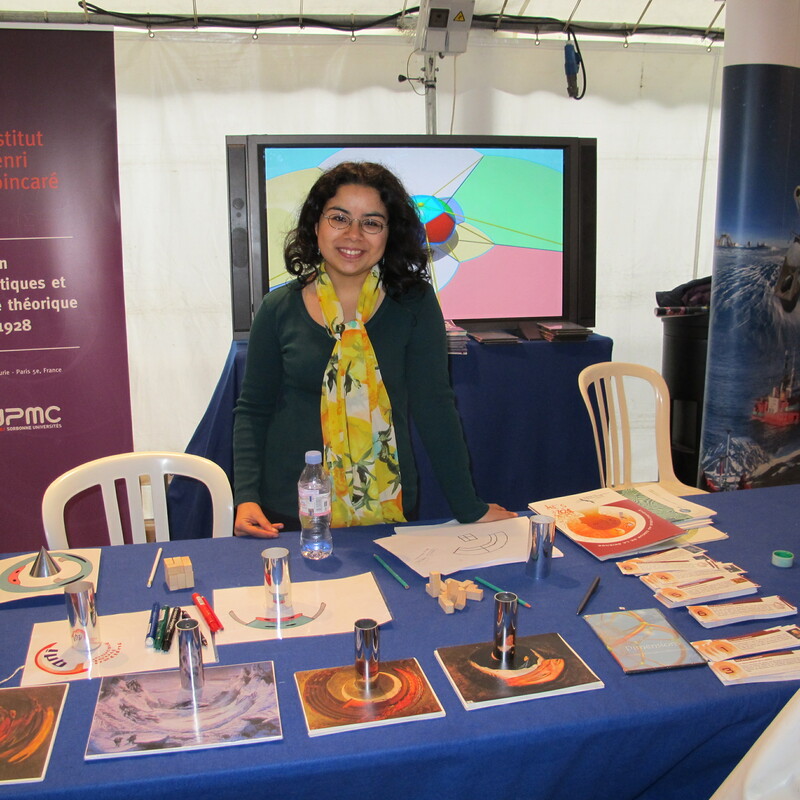 She was showing students how to use a graph to create anamorphic projections. This is interesting maths!!! 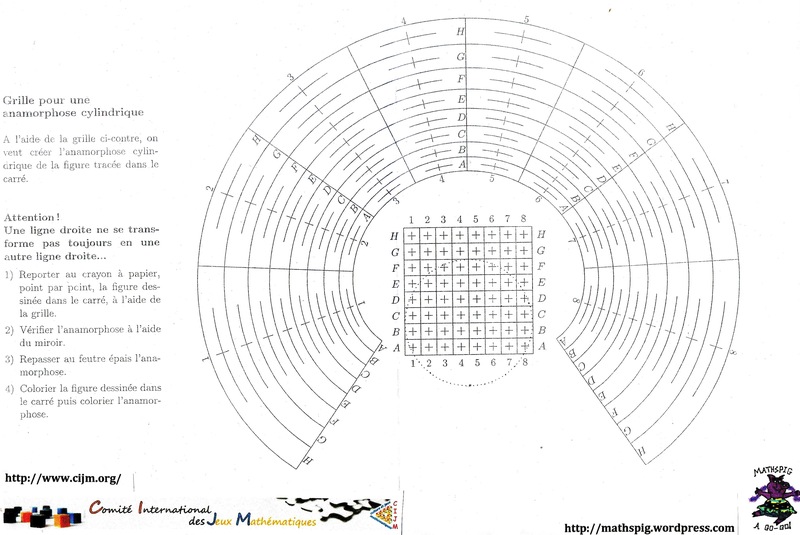 Here is an anamophic projection painted by extraordinary Australian artist Juan Ford. Mathspig went to Juan’s amorphic projection show. Now that I’ve tried to do one by hand, I have more respect. It’s totally tricky, but doable. 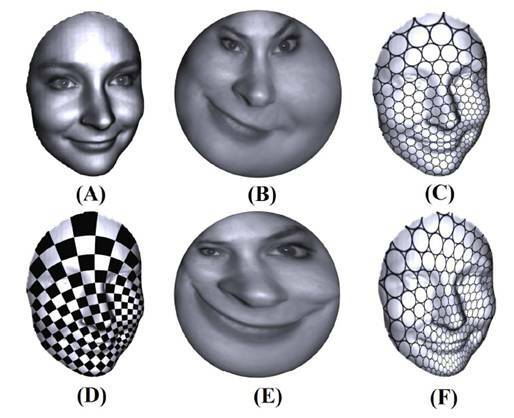 In maths we call this type of image distortion CONFORMAL MAPPING. Mathematicians write equations for conformal mapping, which means they produce equations that can turn your picture into an image you might see reflected in a fun park mirror or even in pond ripples. Here are some images created by Wei Zeng, Lok Ming Lui, Xianfeng Gu, Tony Chan and Shing-Tung Yau who, as mathematicians would say, create Quasiconformal Maps Using Discrete Curvature Flow. You’ll find more here. 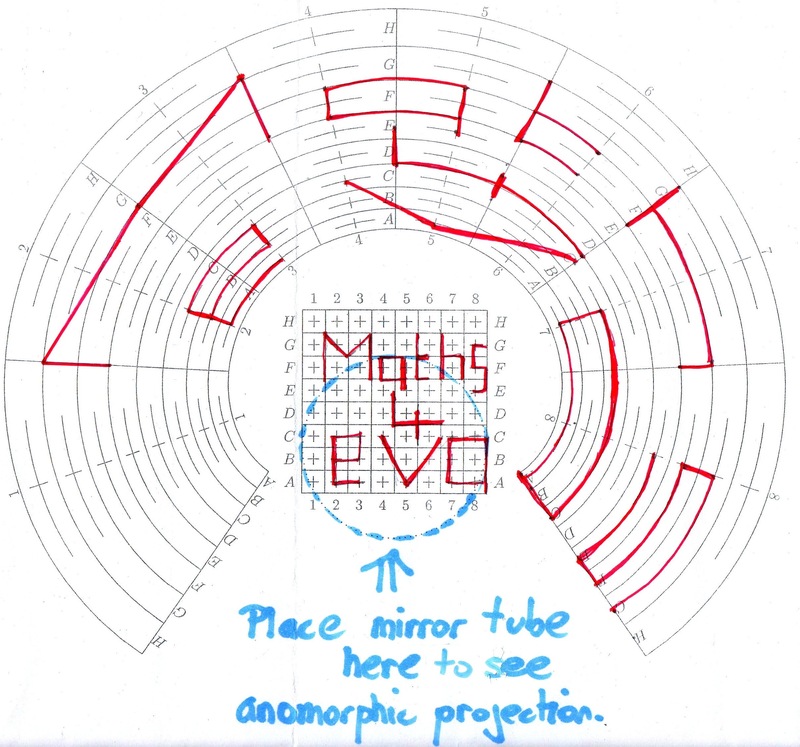 Here is the mapping graph used by Attouchi to create Anamorphic Projections. 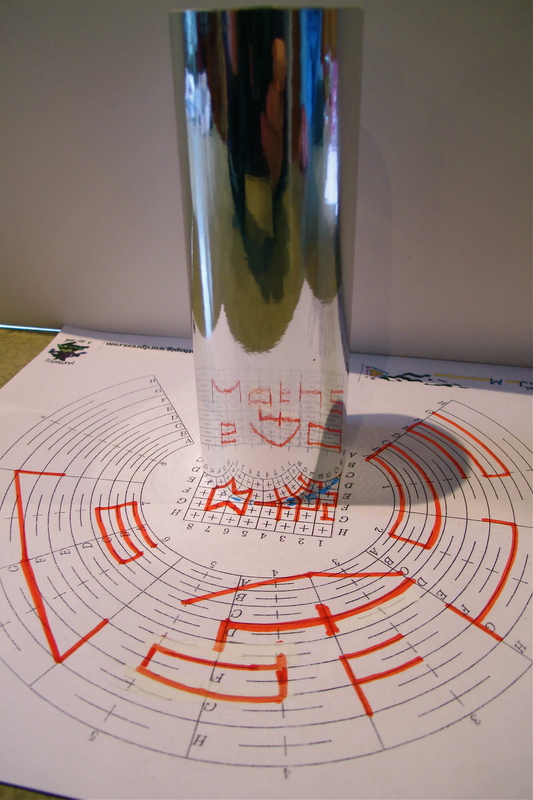 You can just see the dotted line indicating where to place the tube mirror on the grid. But don’t be mislead. Creating anamorphic projections is really tricky. Mathspig nearly blew a fuse trying to do a drawing. In the end I decided to keep it simple and use letters. Students could start with a triangle or their name. Keep it simple mathpiggies!!!!!! But it is such fun. Katniss’ weapon of choice is the bow and arrow. 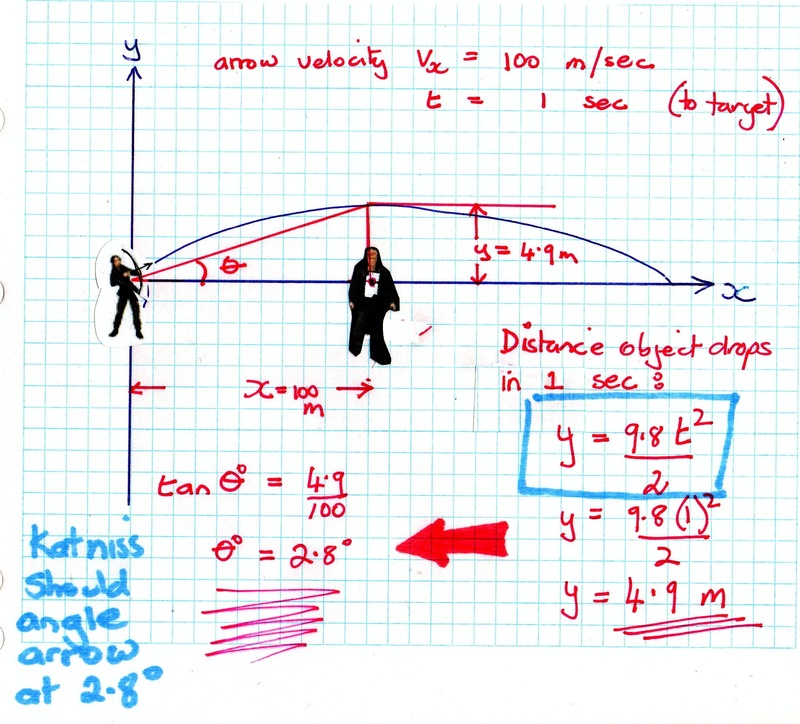 Mathspig noticed in the film that Katniss was aiming the arrow directly at the target. This is a problem. Arrows drop under gravity. If Katniss aims directly at the target she will hit it below her aim point. To overcome this she must raise her arrow aim. What angle should she choose? According to The Flaming Arrow the speed of a modern arrow is 100 m/sec with a 65 lb draw weight. 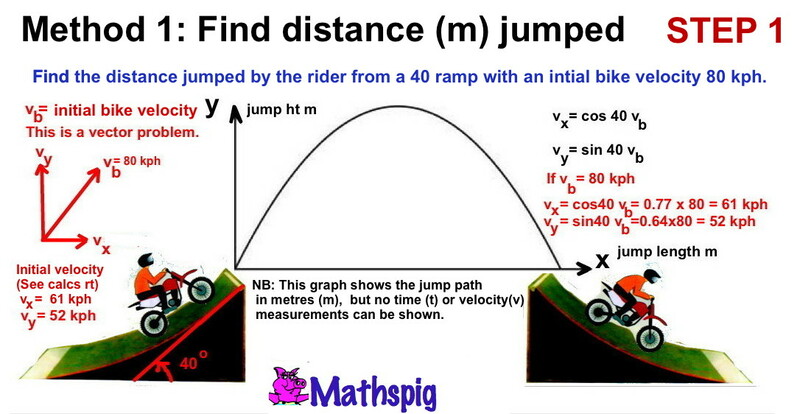 Mathspig believes in using the SIMPLEST maths solution. In this case, very short arrow flight times are involved. So we will assume the arrow velocity (Va) equals horizontal vector speed (Vx). 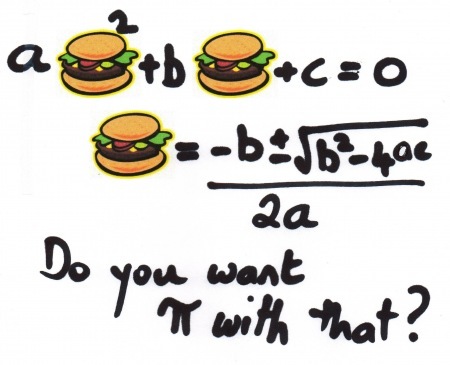 This is an approximation that makes the maths sweet. Such an approximation might work for the arow flight in the first diagram (above), but not in the second. 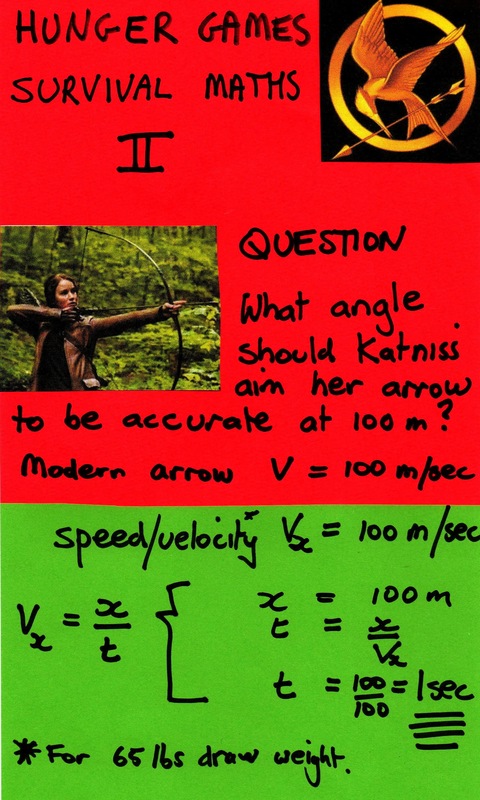 First, mathspigs, we’ll calculate the arrow flight time to a target 100m away and then we will calculate the distance the arrow would drop vertically in that time as this will tell us the point in the air where Katniss should aim. NB: An arrow will drop 4.9m over 100m to the target. In other words, Katniss would miss a human completely if she did not allow for gravity. 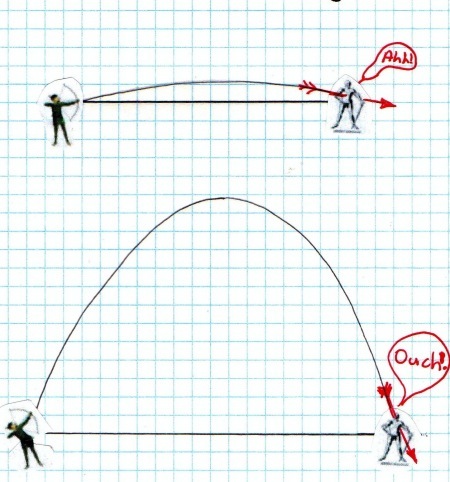 Experienced archers automatically make this adjustment to their aim. Meet Salman Khan. He has put free maths on-line. This article on Salman appeared in The Sunday Times, UK, 12 JUN 2011. * Over 63,000,000 lessons delivered. * Bill Gates kids use the site. * A staff of 1 with funding from The Bill and Melinda Gates Foundation. * Tutes on Biology, Chemistry and Physics too. 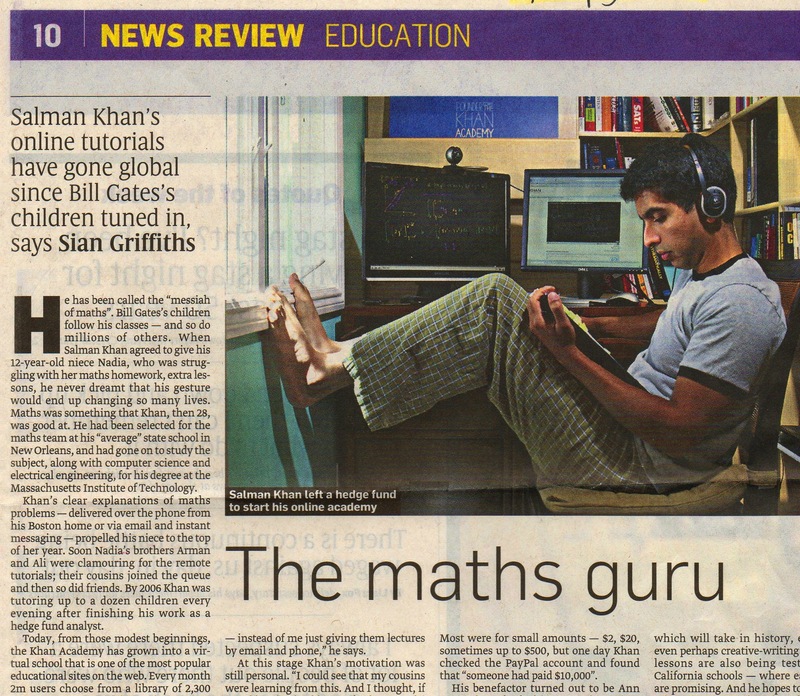 You can look up the maths tutes by topic @ The Khan Academy. Salman gives digital chalk-and-talk tutes like a teacher. He hand draws the equations and graphs. He uses a calculator from time to time, but he tends not to use whizz bang spreadsheet graphs or perfectly presented textbook equations. It’s a bit wobbly and it’s all coming from Salman’s head. And students like this approach. It makes maths look do-able. Mathspig thinks you are just GORGEOUS!!!!!!!!! Australia’s Year 7 – 12 Maths Curriculum is already on-line and free, funded by McDonald’s. See What are maths teachers for, sir? You are currently browsing the archives for the co – ordinates category.